First Listen: Protomartyr, 'Under Color Of Official Right' You won't find silver linings on the Detroit post-punk band's new album — only overcast ennui. Poignancy and shame rule the day, and it's a brilliant thing to behold. Protomartyr's new album, Under Color of Official Right, comes out April 8. There's nothing wrong with music that doubles as an outpouring of joy: sing-along choruses, ecstatic vocals, outsize emotion — a positive outlook on life, generally speaking. If that's your thing, Protomartyr is here to spill it all over the front of your nice, new shirt, possibly scalding you in the process. Protomartyr is a four-piece post-punk band from Detroit, which vocalist Joe Casey paints as a modern-day Mudville over the course of these 14 songs. There are no silver linings on Under Color of Official Right — only overcast ennui. Poignancy and shame rule the day, and it sounds like the meds ran out long ago. Callous, sometimes comical clarity is all that remains, and it's a brilliant thing to behold. Casey's portrayal of the Motor City conjures the same beaten pathos that Joy Division and The Smiths extracted from the malaise of Manchester, England, some 30-plus years ago. But his mates in Protomartyr go about it with garage-rock grit befitting their city's less-romanticized lineage. Guitarist Greg Ahee, bassist Scott Davidson and drummer Alex Leonard sound tattered but taut throughout, with Ahee stealing Casey's shoddy spotlight in more than a handful of songs. The lockstep stops-and-starts in "What the Wall Said" provide one of the album's high points. Under Color of Official Right begins with Casey crying, "Don't feel nothing for anyone," and ends with the refrain, "Nothing ever after" — and that pretty well sums it up. 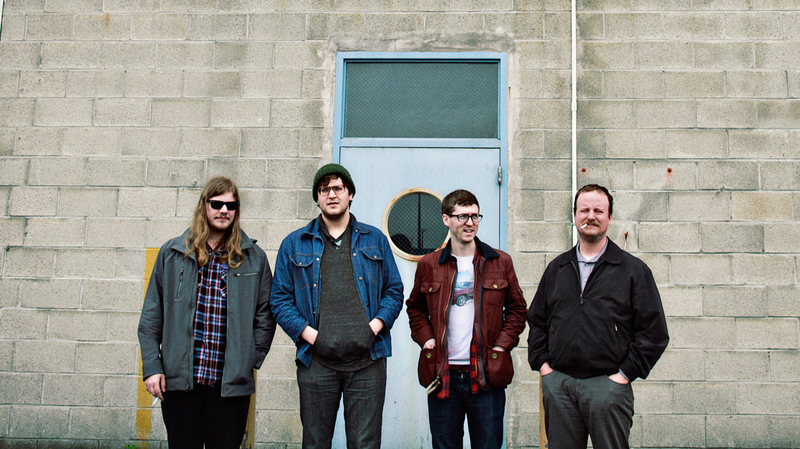 Next time you're feeling bummed out, throw on Protomartyr. It'll be your mirror.